G.SKILL announces new hexa-channel DDR4-4000 CL17 192GB (16GBx12) kit for the latest unlocked 28-core Intel Xeon X-3175X processor. The new ultra-fast, ultra-high capacity G.SKILL Trident Z Royal DDR4 RGB memory operates in hexa-channel with 6- or 12-module kit configurations. The kit is available in speeds of up to DDR4-4000 CL17-18-18-38 at 1.35V, also available in DDR4-3200 and DDR4-3600 speeds. The kits feature extreme performance Samsung B-die memory ICs. The new G.SKILL Trident Z Royal DDR4 RGB memory hexa-channel kits are designed for heavy-workload workstations powered by the Intel Xeon processor. The G.SKILL Trident Z Royal DDR4 RGB memory hexa-channel kits are the first to be introduced to the larger consumer market which was previously exclusive to server-class systems. 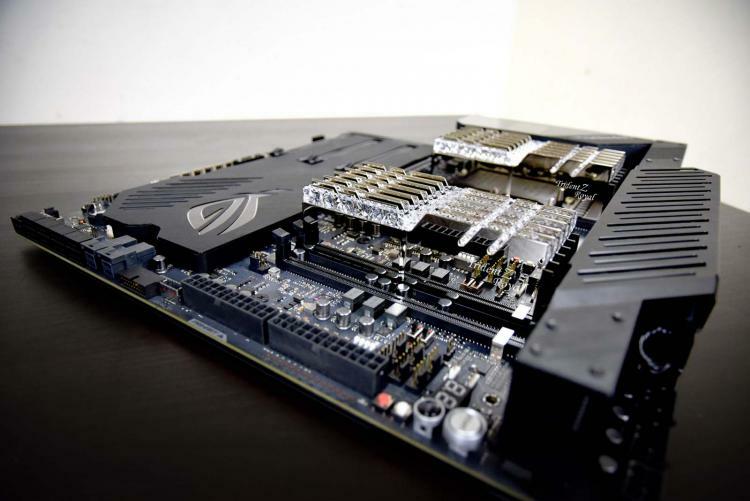 The extreme performance DDR4-4000 CL17 96GB (8GBx12) memory kit reaches a blazing fast read bandwidth speed of 122GB/s, a significant improvement over the quad-channel platforms. 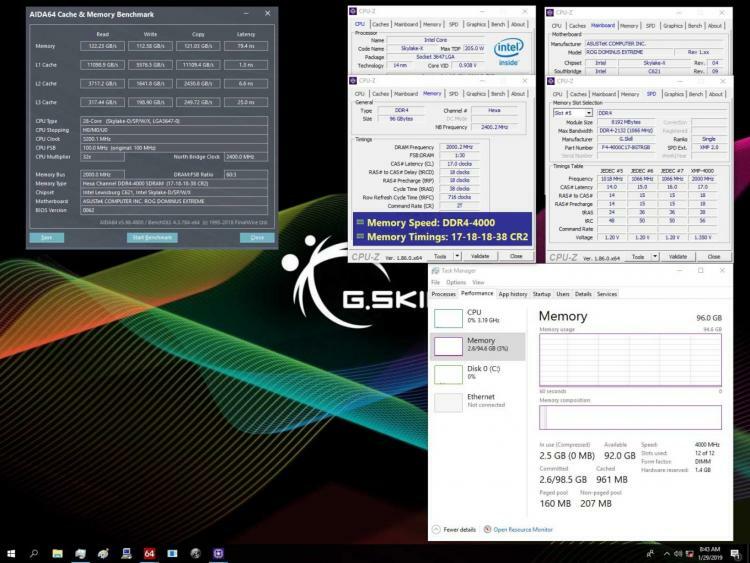 See bandwidth result from AIDA64 memory benchmark using the Intel Xeon W-3175X processor and the ASUS ROG DOMINUS EXTREME motherboard. The new extreme performance Trident Z Royal DDR4 RGB hexa-channel memory kits support the latest Intel XMP 2.0 for easy overclocking setup. The hexa-channel kits will be available in partner resellers and distributors worldwide. Learn more about the Trident Z Royal DDR4 RGB hexa-channel memory kits here.